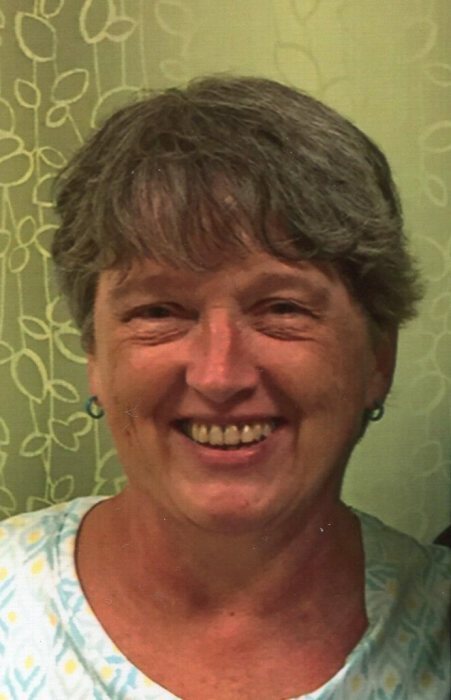 Theresa Lynn Hatcher, age 62, of Buffalo, went to her Heavenly Home on Wednesday, November 21, 2018, at her residence. Theresa was born on September 25, 1956 in Jefferson County, Kentucky. She loved baking, crafting, gardening, working in her flower beds, swinging on the front porch, watching and talking to the hummingbirds, talking to others about the love of Jesus but, most of all, she loved her two granddaughters, Lily Faith and Dalayna Grace Elliott. She was a member of The Driven Church in Elizabethtown and a former Deputy Jailer for the LaRue County Detention Center, serving for several years. She was preceded in death by her father, Alvin A. DeSpain and her mother, Anne Atherton Craine. Theresa is survived by her husband, Mark “Pooh” Hatcher; two sons, Denver (Megan) Elliott and Christopher Hatcher, all of Buffalo; a sister, Pat (Paul) Wolfe of Louisville and her two precious granddaughters, Lily and Dalayna. Funeral services will be held at 2:00 PM, Sunday, November 25, 2018, at Bennett-Bertram Funeral Home in Hodgenville with Bro. Trent Evans and Bro. David Fortner officiating. Burial will follow in the Mt. Tabor Church Cemetery near Buffalo. Visitation will be from 2:30 to 8 PM Saturday and after 10 AM Sunday at the funeral home.